I love to make pretty food. It reminds me of my friend and food blogger, Brenda, Masala Eats Miami. When I visit Miami we always try to get together for a food outing. 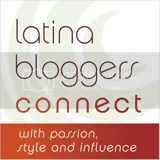 Do visit her blog, you will enjoy it. This dish was made as an appetizer for my last dinner party and was a total success. For the chickpea purée I put everything in my food processor until smooth and set aside. Chickpeas and chorizo: in the food processor, pulse the chorizo with garlic for a minute or so. Meanwhile add olive oil to pan until heated, adding the chorizo and chickpeas and cook for about 5 minutes. Remove the small side muscle from the scallops, rinse with cold water and thoroughly pat dry. Add the butter and oil to a 12 to 14-inch sauté pan on high heat. Salt and pepper the scallops. Once the fat begins to smoke, gently add the scallops, making sure they are not touching each other. Sear the scallops for 1 1/2 minutes on each side. The scallops should have a 1/4-inch golden crust on each side while still being translucent in the center. Plate and serve immediately over the purée add the chorizo mix and garnish with delicious baby cauliflower in different colors that were cooked in salted water and dressed with lemon juice. If not available in your area, get creative with what is available at your local farmer’s market. Alton Brown tought me a long time ago how to get a good sear on a scallop. This entry was posted in Appetizers, Cauliflower, Chickpeas, Chrorizo. Bookmark the permalink. I love eating pretty food… Well plated food makes the portion a valued treasure! Thanks for mentioning me in the post. Stunning. You aced it … again! I love how you plate the food…so beautiful and tempting. Beautiful and delicious looking dish Norma! Love scallops!